Sign up for Kate’s mailing list! 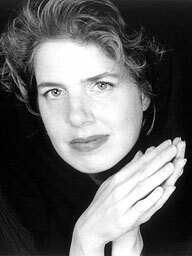 One of Canada’s most respected teachers of the art of jazz singing, Kate teaches private voice lessons and workshops in Vancouver, BC. She has been a faculty member at both of Vancouver’s fine jazz/contemporary music programs, Vancouver Community College and Capilano University since 1998. She retired from Capilano U in 2018 and continues to teach at Vancouver Community College. In 2014, Kate received a certificate in Vocology, the science and practice of voice habilitation, from the National Center for Voice and Speech in Salt Lake City, Utah. In 2015, Kate became a certified teacher of Levels I, II and III teacher of Somatic Voicework™ The LoVetri Method. This gentle and effective work is a body-based method of vocal training which draws from many disciplines. It is based upon voice science and medicine as well as traditional classical vocal training, complementary modalities such as yoga, movement, dance, acting, and speech training, and various bodywork approaches. Somatic Voicework™ The LoVetri Method is meant to unselfconsciously draw the mind of the singer into the physical process of making sound. All skill levels and ages are accepted. If the student is under the age of 13 years Kate prefers to consult with the parent before booking. To set up a consultation by e-mail or telephone, please contact Kate at help! (please be sure to include your telephone number in your message). Auditioning for a music program? Kate works with vocalists of all kinds to help you prepare for your best possible audition. To set up a time, please contact Kate at help! (please be sure to include your telephone number in your message). Kate’s music classes include jazz workshops, group lessons, and vocal intensives. Individuals can come and work in a social class setting, which reduces costs, improves stage presence and fosters connections with other singers.